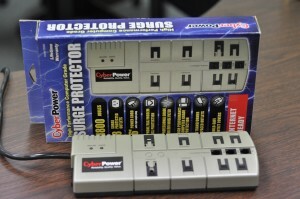 Recent Thunderstorms and the promise of more reminded me I need to change the power strip my computer is plugged into for a real “Surge Protector”. Detailed reports from family members who received near lightening strikes resulting in damaged equipment got my attention. It was time to subdue the inner gambler and stop playing the odds with my communication equipment. 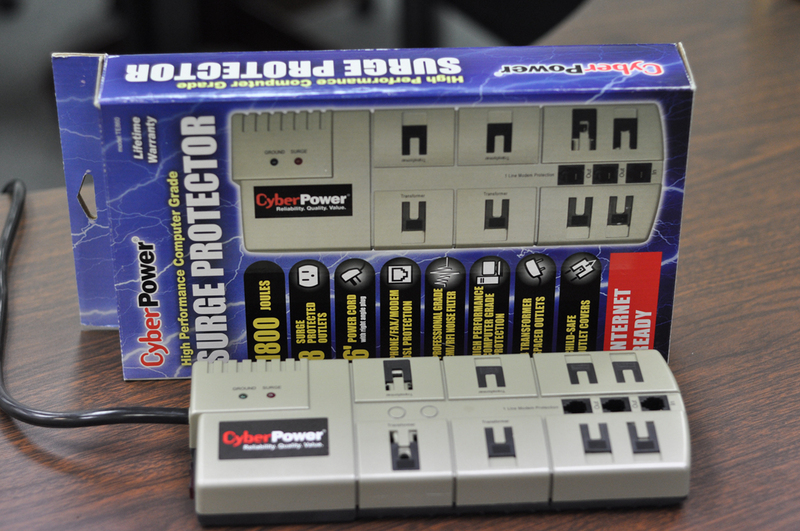 So, now I am the proud owner of CyberPower a high performance surge protector. This one has a telephone line communication port at the end of it along with indicator lights letting me know it is active. After inspecting it I learned there is an automatic shutdown feature built into it that actually helps protect any of my connected equipment. 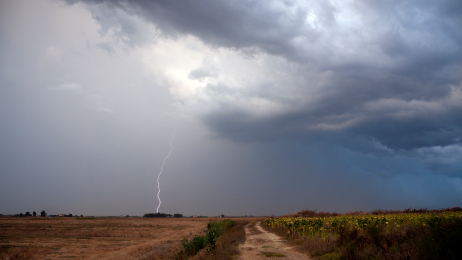 Unfortunately, thunderstorms in our area are usually severe and warrant precautionary action on our part. It’s no fun to find out your computer or your DSL modem was fried due to major power surges. To be clear surge protectors are not a 100% guarantee against damage, especially lightening strikes. They do however, provide some protection to voltage sensitive components in your computer and/or modem which can increase the life span of your equipment. Most manufacturers of the higher grade protectors do offer some level of warranty which should be considered before purchasing. Since most of us cannot live without our computers and the data they hold, a small investment that could keep me from having to spend large replacement dollars makes sense. Brazos Internet recommends plugging your communication devices such as desktops, and DSL modems into some type of high performance computer grade surge protector and/or unplugging your devices during threatening weather. To help you learn more about Power Surges and How Power Surges Work please follow this link. For more information about protecting your computer and modem please call our offices at 940.564.5659 or dial 1.800.687.3222 we will be happy to assist you. If you are experiencing problems with your computer the knowledgeable staff at Brazos Internet can help. We now offer Computer Tune Up and Check Up service on desktop computers and laptops.